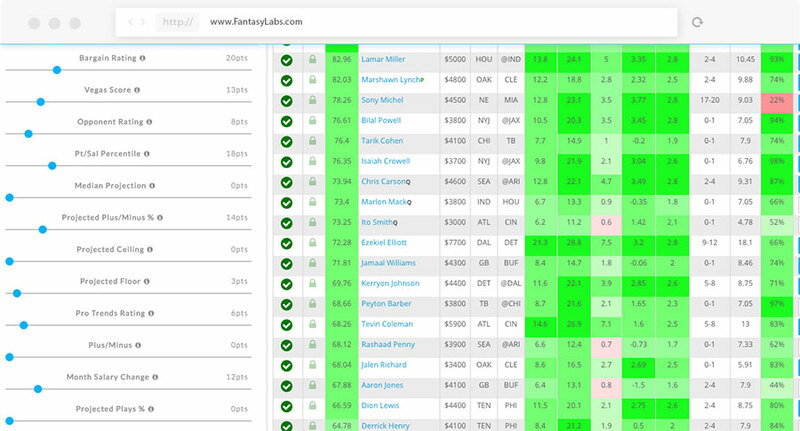 Our daily fantasy sports lineup builder helps you to create optimal lineups for DraftKings and FanDuel quickly. Filters can be added and adjusted to limit the player pool and better optimize your lineups. 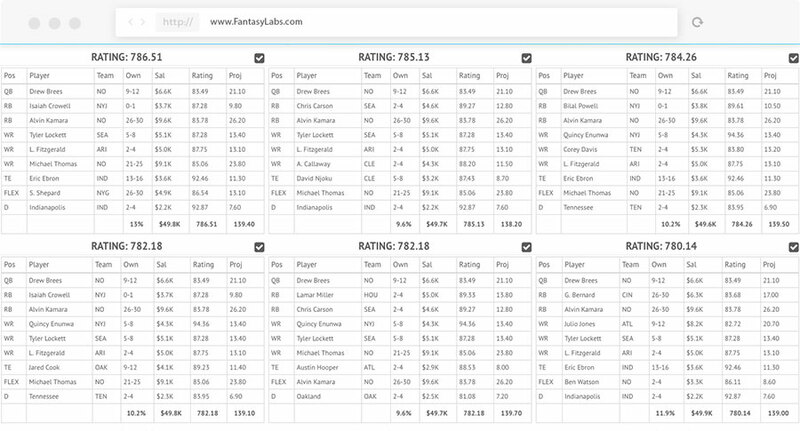 Filter options include player projections, custom performance trends and more. Before generating lineups, you can set the minimum or maximum exposure you want for any specific player, in addition to numerous other controls.